TUESDAY, Oct. 3, 2017 (HealthDay News) -- Americans struggling with health issues may have been more likely to vote Republican in the last presidential election than they were four years earlier, a new study indicates. "Across the country, we found that voters in counties with poor public health shifted dramatically towards the Republican candidate in 2016, compared with 2012, an effect that was particularly strong in states where the results changed Electoral College votes," said study author Dr. Jason Wasfy, from the division of cardiology at Massachusetts General Hospital in Boston. "Although we cannot determine causality from these results, the findings raise the possibility of a role for public health status in determining voting behavior," Wasfy said in a hospital news release. Previous studies have shown that poor mental and physical health, particularly among older people, keeps voters from casting their ballots in political elections. Surprising shifts among voters in several states in 2016, including Texas and Wisconsin, prompted researchers to examine the potential effect that public health may have had on voting patterns. 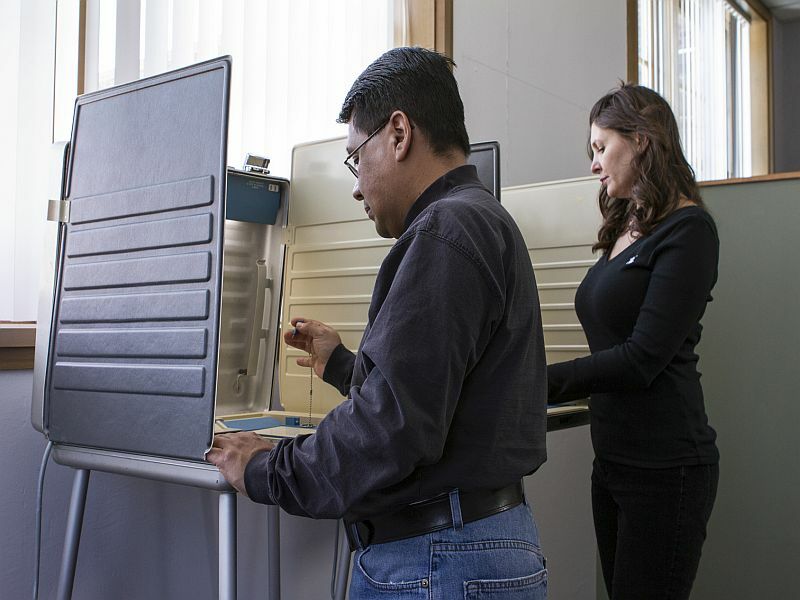 The research team from the hospital and Massachusetts Institute of Technology reviewed voter turnout and election results for more than 3,000 counties. That's about 95 percent of American counties. This information was compared to data from the U.S. Centers for Disease Control and Prevention and other public health information compiled by the Robert Wood Johnson Foundation. Specifically, the researchers considered health issues, such as the prevalence of obesity and diabetes, lack of food, teen birth rates and death rates. The study showed 88 percent of counties shifted towards Donald Trump in 2016 compared to Mitt Romney in 2012. The counties that shifted toward Trump tended to be rural, predominantly white, lower-income and in the West and Midwest. The counties that leaned towards Trump had less violent crime but faced higher teen birth rates and age-adjusted death rates than other counties. These counties also had fewer primary care doctors per person and other health care resources than the voters who didn't favor Trump, the analysis showed. The researchers suggested that shift among these voters contributed to a Republican victory in 2016. "Even after adjusting for factors such as race, income and education, public health seems to have an additional, independent association with this voting shift towards Trump," Wasfy said. "It's critical to interpret our results as reflecting county-wide ecological associations, rather than individual voting behavior. More than anything, I think these results demonstrate that health is a real issue that can affect people's lives and their decisions. We all need to focus on improving public health as a means of improving people's lives," he added.